Congratulations, you have a blog! But now that you have one, do you know how to get your blog noticed? It’s a serious question. WordPress is one of the most popular blogging hosts with almost 75 million users. That means, at best, there’s a one in 75 million chance that someone is going to find your blog. The odds are daunting, especially if you have a blog that’s in a wide niche. How is it possible to get your content to stand out in a sea of voices? Lucky for you, your blog doesn’t have to be a no-mans land. We’ve created a list of tried and true methods to get your blog on people’s radars. If you want to know how to get your blog noticed, then keep reading. To learn how to get your blog noticed, you need to have the answers to these questions. 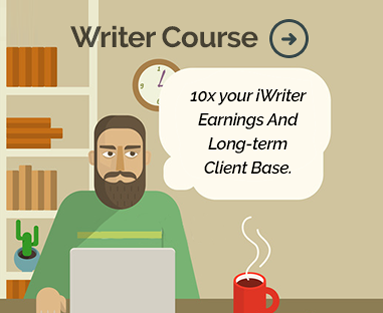 Most bloggers hope on some level to get paid for writing. The dream is to stay at home, write all day, and start rolling in the cash. But blogging for money is as uncertain as starting any other business. You might put your blood, sweat, and tears into your blog with little to no return. That’s why you need a reason for blogging beyond money. People turn to bloggers for authenticity and expertise. If you don’t have those two things, audiences will turn elsewhere. We’ll talk later about expertise. But first, you need to establish authenticity. The best way to establish authenticity is to care about what you’re writing. If you don’t like kids, then you won’t make any money as a mommy blogger. So are you passionate about what you’re writing? Or are you trying to make a quick buck? If it’s the later, then blogging might not be for you. There’s a lot of debate online about whether bloggers have to write in a niche. While some bloggers disagree, having a niche is an important part of how to get your blog noticed. Why? It goes back to establishing authenticity and expertise. Let’s say you’re a writer who writes about blogging. That’s great, you can join the other millions of bloggers writing about the same thing. But if everyone is writing about the same thing, no one will care about what you have to offer. That’s why it’s helpful to establish a niche for yourself. Do you write about blogging for businesses? What kinds of businesses? You could also specialize in making blogs legal, or building backlinks. The more you niche down, the easier it will be to establish your expertise. It will also be easier to create content that stands out. Are You Speaking to Your Audience? More to the point, who is your audience? Part of knowing how to get blog followers means knowing who you want as a follower. Think of it this way. Let’s say you’ve set up a booth at a carnival that sells almond cakes. Would you rather have 20 people come by your booth, and only sell three? Or would you rather have three customers who love almond cakes and will buy four of them? You’d want those last three customers, of course. The same goes for blogging. You want readers who are going to stick around and hear what you have to say. A young businessman isn’t going to read a lot of the same blogs as a middle-aged mother of four. They might have the same goals, but they won’t communicate in the same ways. What do they do for their day jobs? How do they talk and communicate with each other? Social media is a powerful tool to bring traffic to your blog. Most of these platforms are free, and they reach millions of users across the world. If you’re not already sharing your content on social media, you need to start. If you use social media well, it will build a connection with your readers. This connection is vital if you want them to keep coming back to your blog. But before you sign up for every social media app out there, think about how your readers will use social media. Let’s say you run a blog about Facebook marketing. Obviously, you should advertise and connect with readers over Facebook. But where else are your readers congregating? If they’re casual bloggers, they might be on Twitter or Instagram. But if they’re small business owners then they might spend more time on LinkedIn. Regardless of what social media platforms you use to share your blog, you need to have “Share” buttons on every post. These buttons will help users who want to save or share your content. They might post your work on Facebook, Twitter, Google+, or they’ll share it on Pinterest. Whatever way they share your content, it’s your job to make it easy for them. That’s more to SEO than just doing what Yoast SEO tells you (although it’s a great tool). Optimizing your blog with SEO best practices is a key strategy to bring traffic to your site. It helps you rank higher in search engines like Google, which makes it easier for your audience to find you. To create a solid SEO strategy, you’ll need to do some research. Figure out what keywords your audience uses to find you. Come up with as many options as possible. Then narrow it down to a handful of words and phrases. When you’re ready, run some tests to see what keywords get you the most traffic. Finding the right keywords is an evolving strategy, so don’t be afraid of getting it wrong the first time. Do You Have a Publishing Schedule (And Are You Sticking to It)? When a reader comes to your blog, they’re hungry for more content. Sure they can read through your whole backlog, but what about new stuff? When is that coming out? The best way to keep readers interested in your blog is to publish articles on a regular basis. How regular? That’s up to you and your schedule. If you write a lot of long-form content, then once a month could work for you. But if you can churn out several short blog posts in a week, then think about publishing more often. Audiences will love you no matter how often you post, as long as it’s great content. Be sure to share it when you publish it, either on social media or through an e-mail list. Are You Active in the Blogger Sphere? Want to know the best-kept secret for how to get your blog noticed? Consider this scenario. You’ve opened a carpentry business in town, and you need to get your first clients. Sure, you could run some ads. But the best way to build your business is by recommendations. How do you get recommendations if you’ve never had a client? Simple. You network with other industry professionals. The painters you worked with last month might know someone who’s looking for a house addition. If you’ve been social with these people, they know and trust you. When that’s the case, they’ll be more than willing to recommend you to their clients. Blogging works in similar ways. You can gain readers by talking to other bloggers in your niche. Offer insightful comments and a friendly hello that gets their attention. One thing to do is to link to their blog posts and start conversations. If you do it right and you have great content, they’ll return the favor. That way their readers can become your readers. Plus you’ll have a great new business contact. Have You Established an Expertise? The best purpose of your blog is to establish your expertise. If your goal is to sell your services, then you should market yourself as the industry expert in your niche. Why? If your clients have a problem, they don’t want half-baked ideas from JennyDoNothing.com. They want solid advice from a real expert. If you want to make money blogging, then you need to be that expert. But how can you establish your expertise? Remember, to be an expert you only have to know more about your subject than most people. Go deep in your niche, and don’t be afraid to know what you’re talking about. Have You Written a Guest Post? In our previous tips, we recommended reaching out to other bloggers. We also talked about becoming an expert in your subject. Now it’s time to put those two together and create guest blog posts. There are several advantages of writing a guest post. One is that it puts your content in front of a brand new audience. If they like your stuff, then they’ll come to your blog and check out what you’ve already done. It also further establishes you as an expert. There’s nothing that says “I know what I’m talking about” than when other people allow you to do it on their platform. The third advantage of a guest post is that you’re building a connection with other bloggers. They get a break from writing a post, and later you can ask them to write something for you. It’s a win-win situation. Again, when a new audience member comes to your site, they want to read everything you have. With that in mind, how easy is it for them to find what you’ve written? Whenever you post an article, make sure to tag it and put it in the proper category. Then organize your site so that it’s easy for readers to click around. They should be able to find what they’re looking for and explore without any worries. Your site also needs to look professional. If your blog looks outdated and cluttered, people won’t stick around. Find a simple and timeless layout for your blog. Pick a font that’s easy to read. Last, make sure to use lots of high-quality images. These are all things that will help keep people on your blog. Are You Talking to Your Real Life Friends? This last recommendation might be the most intimdating one. After all, you can blog into the void without any fear… as long as no one knows that you can fail. But how are you going to market your blog if you’re not even sure your friends will want to read it? No, they might not be into an in-depth analysis of Pinterest statistics. But someone they know might be, and they won’t be able to find you if no one helps them in the right direction. You don’t have to share every little thing you blog with your friends. But if you have a big promotion coming up, ask them to give you a shout out. You can buy them a drink as compensation. A small audience of dedicated cheerleaders can help you when you’re feeling down. So take the leap, and ask your friends to read your blog. Are You Ready to Build an Amazing Blog? If you want to know more about how to get your blog noticed, then drop by our own blog. We have advice and even courses for beginner writers. But if you’re a company looking for amazing content, then drop us a line. We’ll help you get connected with writers who can help grow your business.